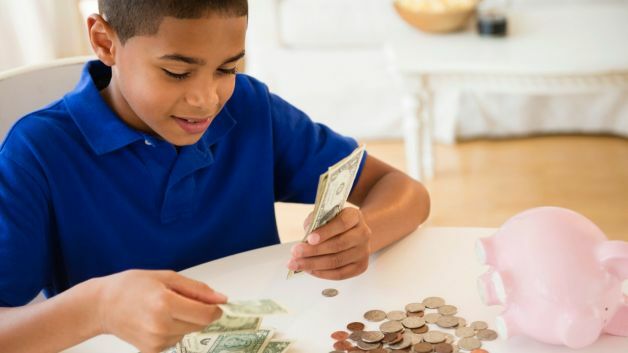 If you want your kids to learn about the basics of managing money, then probably giving them some pocket money can be the first step towards it. In addition, if your family values or finances suggest that you do not give pocket money to kids, then that can be an equally essential learning for them. If you think giving pocket money will teach kids the importance of money, earning it, saving it, and budgeting, then it is never too early to start. It is an important step to teach kids several money skills, encouraging independence, patience and setting goals. We will give you some tips about managing pocket money for children. Why give pocket money to kids? Kids learn about the value of money, how to develop attitudes about it from their parents. By giving them pocket money, they could be great values about it like saving, spending, and donating. They can learn to make their own decisions whether to spend the money or save it for something bigger. However, if giving pocket money is not the appropriate way for your family, you can clearly choose other ways of teaching them about how to handle money. How frequently should you pay your kids? The frequency of paying money to kids depends on what suits your current situation. Make sure to ask them on what they plan to do with it. You can start with weekly payments for younger children and extend to fortnightly or monthly payments for teenagers and older children. You can consider cutting that money if he gets his part-time job and so on. This will help teach him budgeting skills over a period. It differs from family to family, as some parents do not expect any work in return for giving pocket money while others pay kids when they do household chores. This can be a little tricky business, as parents need to decide to which job at house will be paid and which jobs are expected as a contribution to the family. Each family decides which of the jobs should be paid for. For example, setting dinner table, making their beds, tidying their room need not be paid jobs. Paid jobs can be the ones parents dole out to their kids to do like mowing the lawn, vacuuming the floor etc. Pocket money can encourage good work ethics. If you decide certain chores of work a kid has to complete in order to be paid, then you might not pay them if it is incomplete. This will reinforce the idea that a job has to be completed. To get other parents opinions on the same can be very beneficial for your family. How much they pay their kids, what kinds of work are the kids doing for pocket money and how often do they are paid, will give you an idea and you can improvise on yours too. You should encourage the idea of saving pocket money in your kids, instead of spending them. Here are some tips you can introduce to your kids on how to deal with the pocket money. The 50%, 40%, 10% rule where 50% can be saved, 40% spend and 10% can be donated to your kids favorite charity. Three jars – Make three jars, each for spending, donating and saving, as they will understand the difference between saving and spending. Budget – Decide a budget with your child and how to split up pocket money, accordingly. Investing – You can maybe invest a small amount of your child’s pocket money for future. With respect to your children’s money, you can put them in bank account, save them in a piggy bank or do both. See what suits your family the most. By setting bank accounts, your child can understand what is saving and interest at young age. You can go through bank statements together like when the money went in the account, remaining balance, interest paid and so on to familiarize you child with money matters. School banking program with video identifcations is a great way for this. Piggy bank is a casual and fun way to encourage kids to save money. It is like a starting point and easier than opening bank accounts. Kids can physically count their money whenever required. This will give them a sense of keeping a check on money and recognizing coins and notes. It will help them develop a sense of responsibility and the effort required in earning money. They should also realize that they would have to work for it and learn how much money can buy. They should also develop a self-control and understand its value by having own money to spend. Moreover, they should know and respect it and try to earn it rather than asking for money from parents all the time. There can be some disadvantages in giving kids pocket money. They may think they will be paid for everything they do to help. In addition, it can be difficult to find money to pay them regularly. If you decide to give pocket money to kids, you need to first decide how much is reasonable, worth of each job, how much chores must be done to earn it, whether all children get the same amount of money, and when to pay. You should always honor the agreement by paying on time. You can also decide on giving a set amount to child and remaining put in savings. Of course, you can decide with your kid. Finally, it all depends on your family situations and necessities.